Chris Eubank is a retired British boxer who was former WBO middle and super middleweight champion. He is also known for his eccentric dress sense and for being the father of boxer Chris Eubank Jr.
Who is Chris Eubank, how old is he, when is his birthday, how tall is he, where is he from and what is his background? Christopher Livingstone Eubanks, known as Chris Eubank, is 52 years old. He was born on August 8, 1966 and is 1.76 metres tall. Eubank was born in Dulwich, South London but moved to Jamaica shortly after he was born. He returned to the UK at the age of six and went to school in Peckham. In secondary school he was suspended 18 times in one year before being expelled for fighting, he claims he was protecting other children from bullies. He moved to the South Bronx in New York to live with his mother where he worked to overcome an addiction to drugs and alcohol and began to train daily in a boxing gym. Why is Chris Eubank famous and what is his occupation? Chris Eubank is a famous British boxer. He has held both the WBO middleweight and super middleweight titles and is ranked by BoxRec as the third best British middleweight boxer of all time. Since retiring from boxing in 1998 Chris Eubank has established a media career and appeared of a number of television programs, most notably Celebrity Big Brother in 2001 and I’m A Celebrity…Get Me Out Of Here! in 2015. What is Chris Eubank’s net worth? Chris Eubank was declared bankruptcy in 2009 when he owed £1.3million in taxes to HMRC. As a result his net worth in 2017 is estimated be only £330,000 according to thenetworthportal.com. According to Betfair, prior to his bankruptcy Eubank had earned over £35million. He spent it all on an extravagant lifestyle including flying first class with a large entourage, which even included his personal portrait painter. How much does Chris Eubank earn? No figures are available for Eubank’s current earnings. 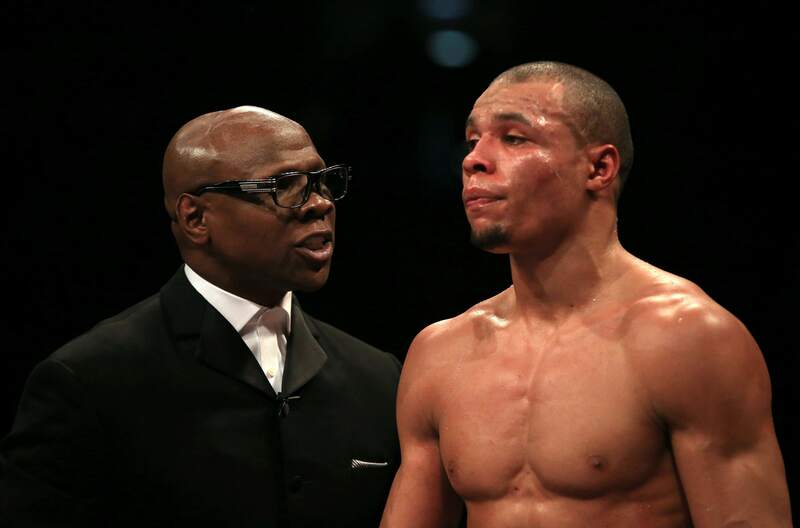 However, he does work with his son, professional boxer Chris Eubank Jr.
How much does Chris Eubank weigh? As a boxer Eubank fought at Middleweight (maximum 160 lbs), and Super Middleweight (mimimum 160 lbs, maximum 168 lbs). Where does Chris Eubank live? The iconic star splits his time between London and Brighton, where his son Chris Jr trains. Does Chris Eubank have any children? The British sportsman had four children with first wife Karron, professional boxer Christopher Jr was born in 1989, Sebastien was born in 1991, Emily was born in 1994 and Joseph was born in 1996. Eubank also has a son from an earlier relationship, Nathanael Wilson born in 1988, who is a professional boxer. Wilson’s mother received a £30,000 settlement after a paternity test revealed that Nathaneal was Eubank’s son, but Eubank and his son have only recently began to develop a relationship after a 27 year estrangement. Is Chris Eubank a muslim, what are his religious beliefs? While he was brought up as a Christian, Eubank converted to Islam in 1997.
Who has Chris Eubank fought in boxing matches, how many fights has he won, what are his most famous fights, when did he retire from boxing? Before retiring from boxing in 1998 Eubank had 52 professional fights. He won 45, lost five and drew two. In 1990 he fought Nigel Benn to win the WBO Middleweight title. In 1991 he fought Michael Watson for a second time to win the WBO Super middleweight title. 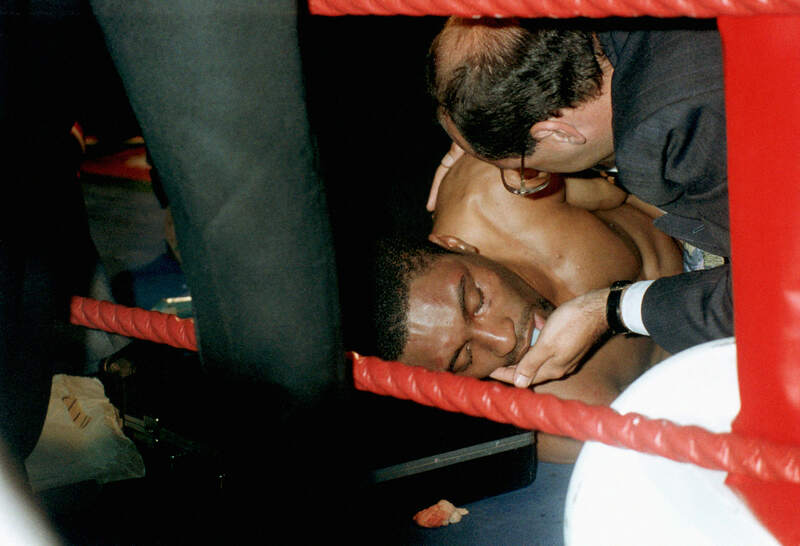 During this fight Watson sustained a near-fatal head injury and has never fully recovered. He successfully defended his super middleweight title until 1995 when he was beaten by Irishman Steve Collins. At this point he briefly retired from boxing before attempting to regain the super middleweight title with a fight against Joe Calzaghe in 1997. He retired permanently in 1998 after two failed attempts to win in the Cruiserweight category. Is Chris Eubank married, who has he dated in the past, was he married? He married his first wife Karron in 1990 and they had four children. They divorced in 2005 citing financial pressures but there were also an alleged rumour of Eubank’s infidelity. Eubank married his second wife, Claire Geary, in Las Vegas in 2014. They have recently announced they are divorcing due to geographical differences (she lives in Dubai) and the amount of time he needs to devote to supporting Chris Jr’s career.